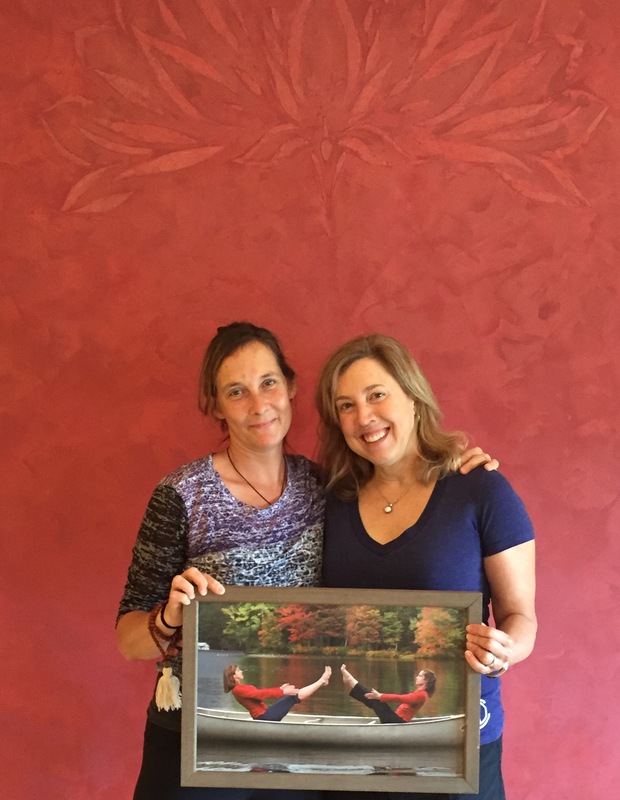 Community Supported Yoga: A Huge Thank You! Kat and I are filled with wonder and gratitude for the love and support and community that filled the studio on Labor Day, as 42 people turned out to help us celebrate 15 years! It was fun and moving and tremendously powerful, to share the space with people who were with us way back at the beginning, people who regularly practice with us, and a handful of people brand new to our studio. I spoke briefly at the beginning of our practice, about the powerful nature of our particular community: several times a week, community forms for an hour, or 75 minutes, or 90 minutes, and then dissolves as we leave the studio and return again to our daily lives. Over the course of the past 15 year, this process of community forming, community dissolving, class after class, day after day, has woven a beautiful, strong, loving tapestry of yoga community. It's real, and I feel it myself daily as I have gone about the business of running and growing a studio, raising a family, stumbling through a frightening health crisis, celebrating births, grieivng deaths...the constant is the background hum of people who have come together for a class or thousands of classes at UVY, and taken that energy, that focus, that love, back out into the community at large. You all, we all together, make the world better. If I'm proud of anything, I am proud of that. So again I say, thank you.